Hinduism – not only in philosophy and literature but also in art – has the capacity for immense conceptions, profound and subtle apprehensions, that can entice the imagination and stun the mind with their depth, range and boldness. Hinduism created such arresting icons as the divine two-in-one embrace of Shiva and Shakti; or Shiva alone, half male, half female, or the two-sided figure of Hari-Hara, an expression of the seemingly “opposite” creative-destructive forces of Vishnu and Shiva embodied in one being. Hinduism is like the Ganga, pure and unsullied at its source but taking in its course the impurities in the way. Even like the Ganga it is beneficent in its total effect. It takes a provincial form in every province, but the inner substance is retained everywhere. Hinduism is a living organism. One and indivisible at the root, it has grown into a vast tree with innumerable branches. Knowledge is limitless and so also the application of truth. Every day we add to our knowledge of the power of the Atman, and we shall keep on doing ever the same. New experience will teach us new duties, but truth shall ever be the same. Who has ever known it in its entirety? I think I have understood Hinduism correctly when I say that it is eternal, all-embracing and flexible enough to suit all situations. If were asked to define the Hindu creed, I should simply say: Search after Truth through non-violent means. A man may not believe even in God and still call himself a Hindu. Hinduism is a relentless pursuit after Truth and if today it has become moribund, inactive, irresponsive to growth, it is because we are fatigued and as soon as the fatigue is over Hinduism will burst forth upon the world with a brilliance perhaps unknown before. Hinduism is the most tolerant of all religions. Its creed is all embracing. While other religions are precisely defined by explicit and often unyielding beliefs, Hinduism condones no such constraints. For the Hindu intuition is far more important than intellect; experience supersedes dogma; and personal realization is held infinitely more precious than outer expressions or affiliations of faith. Hindu religious philosophy is based on experience, on personal discovery and testing of things. One of the principal aspects of Hinduism that impresses me is its scientific nature. Hinduism has stood up to the challenges of modern science better than any other religion. The reason is simple: if anything is found at variance with facts, it is quietly forgotten. Hinduism is thus constantly refreshed and updated. The West had one reformation 500 years ago. We have a permanent reformation. It is clear from the foregoing, that Hinduism is not an exclusive religion. In it there is room for the worship of all the prophets of the world. It is not a missionary religion in the ordinary sense of the term. The chief aim of our religious exercises is to gain prosperity, good health and triumph over our adversaries. We flatter our gods with prayers, bribe them with offerings ‘wash’ our sins in sacred rivers and pay priests to carry out expensive rituals on our behalf. Even thugs and thieves do all these things in the hope, they will gain supernatural assistance in the performance of their nefarious deeds. This kind of religion does more harm than good. Illustrated Weekly of India of 26th January 1973, Page 10. The last 150 years have demonstrated the vitality and resilience of Hinduism. It is capable of change, can absorb new forces and respond creatively to them. My correspondent accuses me of the crime of using the ambiguous middle in that I have confused Truth and non-violence with the Hindu creed. The crime is deliberate. It is the good fortune or the misfortune of Hinduism that it has no official creed. In order, therefore, to protect myself against any misunderstanding, I have said Truth and non-violence is my creed. If I were asked to define the Hindu creed, I should simply say: search the Truth through non-violent means. Hinduism, which is the most skeptical and the most believing of all, the most skeptical because it has questioned and experimented the most, the most believing because it has the deepest experience and the most varied and positive spiritual knowledge, — that wider Hinduism which is not a dogma or combination of dogmas but a law of life, which is not a social framework but the spirit of a past and future social evolution, which rejects nothing but insists on testing and experiencing everything and when tested and experienced turning it to the soul's uses, in this Hinduism we find the basis of the future world-religion. This Sanatana Dharma has many scriptures, Veda, Vedanta, Gita, Upanishad, Darshana, Purana, Tantra, nor could it reject the Bible or the Koran; but its real, most authoritative scripture is in the heart in which the Eternal has His dwelling. It is in our inner spiritual experiences that we shall find the proof and source of the world's Scriptures, the law of knowledge, love and conduct, the basis and inspiration of Karmayoga. "It was an astounding discovery that Hindustan possessed, in spite of the changes of realms and chances of time, a language of unrivalled richness and variety; a language, the parent of all those dialects that Europe has fondly called classical - the source alike of Greek flexibility and Roman strength. A philosophy, compared with which, in point of age, the lessons of Pythagoras are but of yesterday, and in point of daring speculation Plato's boldest efforts are tame and commonplace. A poetry more purely intellectual than any of those which we had before any conception; and systems of science whose antiquity baffled all power of astronomical calculation. This literature, with all its colossal proportions, which can scarcely be described without the semblance of bombast and exaggeration claimed of course a place for itself - it stood alone, and it was able to stand alone." "To acquire the mastery of this language is almost the labor of life; its literature seems exhaustless. The utmost stretch of imagination can scarcely comprehend its boundless mythology. Its philosophy has touched upon every metaphysical difficulty; its legislation is as varied as the castes for which it was designed." Hinduism is not just a faith. It is the union of reason and intuition that cannot be defined but is only to be experienced. In the history of the world, Hinduism is the only religion that exhibits a complete independence and freedom of the human mind, its full confidence in its own powers. Hinduism is freedom, especially the freedom in thinking about God. In the search for the supernatural, it is like traveling in space without a boundary or barrier. Hinduism is more a way of life than a form of thought. While it gives absolute liberty in the world of thought, it enjoins a strict code of practice. It insists not on religious conformity but on a spiritual and ethical outlook on life. On the principle that the very best is not the enemy of the good, Hinduism accepts all forms of belief and lifts them up to a higher level. Belief and conduct, rites and ceremonies, dogmas and authorities are subordinate to the art of conscious self-delivery and contact with the Divine. The men of experience feel the presence of God and do not argue about it. The shoals and shallows of existence are submerged in a flood-tide of Joy. Hinduism is a process, not a result: a growing tradition, not a fixed revelation. The Hindu religion is marked by an eminently rational character. Throughout the bewildering maze of dreamy hopes and practical renunciations, strangest dogmas and reckless adventures of spirit, throughout the four or five millennia of ceaseless metaphysical and theological endeavor, the Hindu thinkers have tried to grapple with the ultimate problems in a spirit of loyalty to truth and feeling for reality. 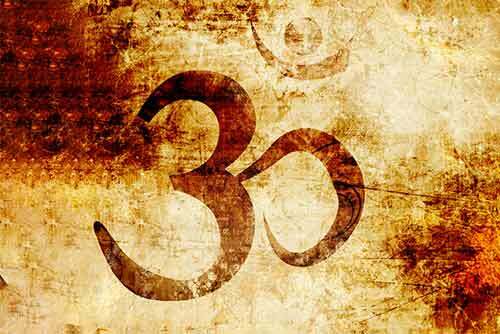 Throughout its long career, the oneness of the ultimate Spirit has been the governing ideal of the Hindu religion. The one incomprehensible God, who is omniscient, omnipresent and omnipotent, appears to different minds in different ways. An ancient text says that forms are given to the formless Absolute for the benefit of the aspirants. And I admire the civilizational heritage of tolerance that made Hindu societies open their arms to people of every other faith, to come and practise their beliefs in peace amidst Hindus. It is remarkable, for instance, that the only country on earth where the Jewish people have lived for centuries and never experienced a single episode of anti-Semitism is India. That is the Hinduism in which I gladly take pride. Openness is the essence of my faith. After a study of more than 40 years of the great religions of the world, I find none so perfect, so scientific, none so philosophical and none so spiritual as that great religion popularly known by the name of Hinduism. Make no mistake, without Hinduism, India has no future. Hinduism is the soil into which India's roots are stuck and torn out of that she will inevitably wither as a tree torn out from its place and if Hindus do not maintain Hinduism who shall save it? If India's own children do not cling to her faith who shall guard it? India alone can save India and India and Hinduism are one. Hinduism is greatly misunderstood in the West. Most occidentals do not realize that Hinduism is a monotheistic belief in only one God, who as Creator is beyond time, space and physical form. The entire pantheon of Hindu gods and goddesses are merely representations of different attributes of the One, Unmanifested Spirit. Hinduism created a different deity for each of God's numerous qualities to make God seem more real and approachable. We cannot tell how the religion of the Hindus came into being. When we become aware of it, we find it already complete in its broad outlines, its main principles. Not only is it complete, but the farther back we go, the more perfect it is, the more unadulterated, the more closely related to the loftiest speculations of our modern agnosticism. Count Maurice Maeterlinck – poet and essayist – won the Nobel Prize for literature in 1911. There is an important difference between the Hindu and the Western ideas. In the Biblical tradition, God creates man, but man cannot say that he is divine in the same sense that the Creator is, where as in Hinduism, all things are incarnations of that power. We are the sparks from a single fire. And we are all fire. Hinduism believes in the omnipresence of the Supreme God in every individual. There is no "fall". Man is not cut off from the divine. He requires only to bring the spontaneous activity of his mind stuff to a state of stillness and he will experience that divine principle with him. Hinduism is not a religion; it is just a way of life that thousands of Rishis have written about. It is such a democratic religion where everybody has the freedom to think, write or say whatever they want. We have no opposition for any other philosophy coming into us. We have no opposition for the Bible to be part of our own study. Nobody here will say, 'If you read the Bible, you will go to hell'. It is an inclusive way of looking at life, and that is what we need in the world today. We have no objection taking food from every part of the world, listening to music from every part of the world. So we need to globalize wisdom too. Dr S Radhakrishnan: What is your religion? Mahatma Gandhiji: My religion is Hinduism which, for me, is the religion of humanity and includes the best of all religions known to me. Dr S Radhakrishnan: How are you led to it? Mahatma Gandhi: I take it that the present tense in this question has been purposely used, instead of the past. I am led to my religion through truth and non-violence. I often describe my religion as religion of truth. Of late, instead of saying God is Truth, I have been saying, Truth is God... Denial of Truth we have not known... We are all sparks of Truth. The sum total of these sparks is indescribable, as yet unknown Truth, which is God; I am daily led nearer to it by constant prayer. Dr S Radhakrishnan: What is its bearing on social life? Mahatma Gandhi: The bearing of this religion on social life is, or has to be, seen in one’s daily social contact. To be true to such religion, one has to lose oneself in continuous and continuing service of all in life. Realization of Truth is impossible without a complete merging of oneself in and identification with this limitless ocean of life. Hence, for me there is no escape from social service: there is no happiness on earth beyond or apart from it. Social service here must be taken to include every department of life. In this scheme, there is nothing low, nothing high. For all is one, though we seem to be many. The deeper I study Hinduism, the stronger becomes the belief in me that Hinduism is as broad as the universe... Something within me tells me that, for all the deep veneration I show to several religions, I am all the more a Hindu, nonetheless for it.